The Monkey Bars Garage Storage System is your #1 solution to one of the biggest problems we face, our garage. 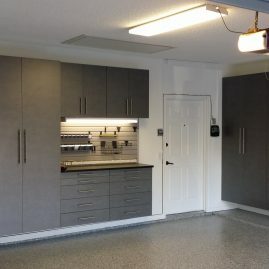 While the garage is one of the toughest rooms in the home to tackle, we have created a system that allows you to maintain a clean and organized garage all year round. For the best garage storage Kansas City has to offer, contact us to get your free, in-home quote today! Custom Solution: Treat your garage like it’s more a part of your home with a customized garage system. Our cabinets and flooring come with plenty of options to choose from, giving you a space you’re proud of and a storage system you can fully utilize. 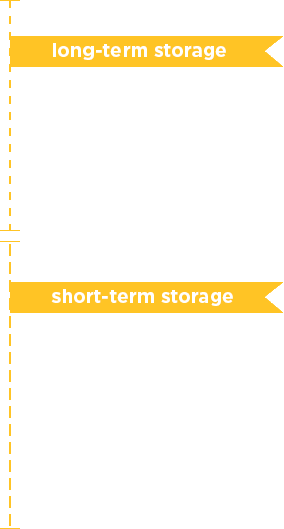 Affordable Alternative: Eliminate the need for costly outside storage units with our garage storage in Kansas City. Give yourself something closer to home and more affordable. 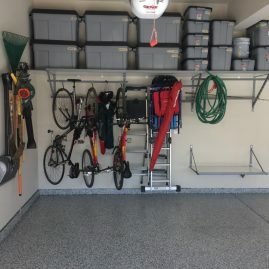 With our systems, garage organization in Kansas City is easy. Store High and Low: The floor tends to consume all of those heavy bins and boxes. 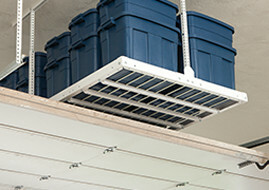 Utilize your unused ceiling space and install overhead racks to store all of your long-term storage. For your short-term items, shelving units and cabinets are perfect for keeping those smaller items organized and off the floor. True to its design, The Monkey Bar Shelving System utilizes your garage to give you even more space. By layering, placing and hanging items on the patented shelf, you create an easier and more efficient way to store your belongings. Choose between our various designs and sizes to best fit your space. 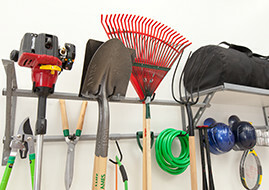 Organizing the garage has never been so simple with garage storage in Kansas City. With the most customizable storage system on the market today, you will be able to create the system that works best for your budget and space. With the help of our storage experts, you will be able to get everything off the floor and up on shelves, overhead racks, or hung on the walls. We are there to help every step of the way until your garage is organized the way you have always wanted it. Our revolutionary systems allow you to store 3x more than any other system out there! With that kind of storage ability, you will be able to store everything in an organized way. 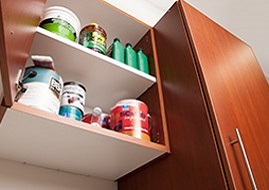 With the use of our shelves, cabinets, overhead racks, and hooks below, you can store those long-term and short-term storage accessible and out of the way. We are simply the best garage storage in Kansas City! Excited to get your garage organized once and for all? 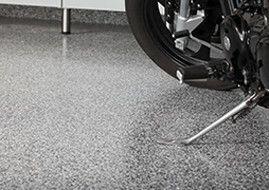 Contact us today for a free, no-obligation estimate for your space!